A VA home loan is a mortgage loan in the United States guaranteed by the U.S. Department of Veterans Affairs (VA). The loan may be issued by qualified lenders. The VA home loan was designed to offer long-term financing to eligible American veterans or their surviving spouses (provided they do not remarry). There are many benefits, as taken directly from the Veterans Affairs site: No down payment required (unless required by the lender or the purchase price is more than the reasonable value of the property); buyer informed of reasonable value; negotiable interest rate… and more. Fixed and adjustable rates are available, low down payments, Jumbo VA loans available, and terms can be 5 to 30 years. 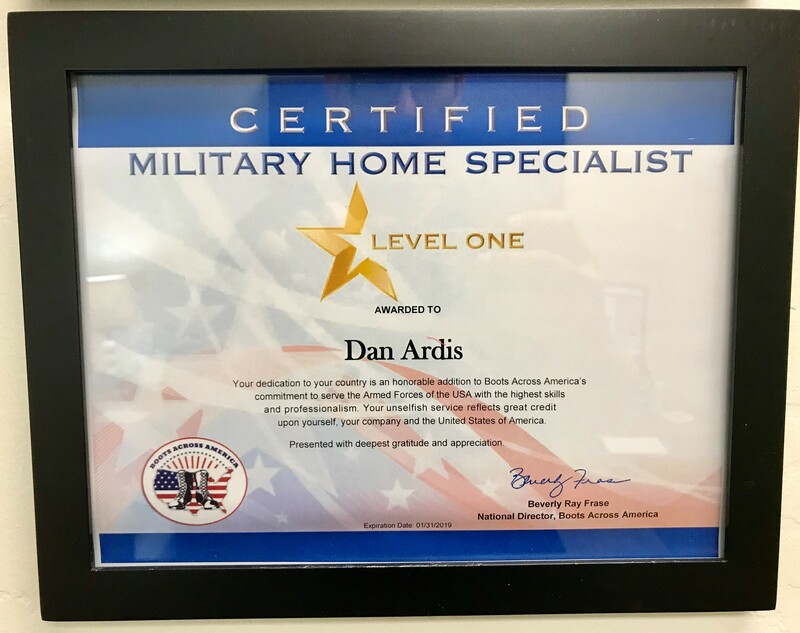 Dan Ardis is a certified Military Home Specialist with Boots Across America, so his expertise will allow you to take full advantage of your military benefits and fully reap the rewards of your selfless service to our country. We’re here to make the VA home loan process a whole lot easier, with tools and expertise that will help guide you along the way. We’ll help you clearly see differences between home loan programs, allowing you to choose the right one for you – whether you’re a first-time home buyer or a seasoned investor.